being little • bristol uk fashion & lifestyle blog. : christmas party outfit #1 // oh my love. This is the first in a series of Christmas Party outfits, to hopefully give you a little bit of inspiration if you've been invited to a do and have no idea what to wear! It's a simple, laid back look, with a bit of sparkle. Crown&Glory are a firm favourite among bloggers, and this sweet little bronze bow gives a cute little something to a simple high ponytail. A simple drop hem top & plain black wedges make these sweet leggings from Oh My Love the focus. Glittery gold polka dots AND velvet... perfect for Christmas! Plus, if you're going out for a festive meal, this outfit ensures that you'll be able to eat loads. Gotta love an elasticated waistband. I've got a sneaky little Oh My Love discount code too - enter "AUTUMN12" at the checkout for 20% off! This is a lovely outfit! Love black & gold together, especially at Christmas! 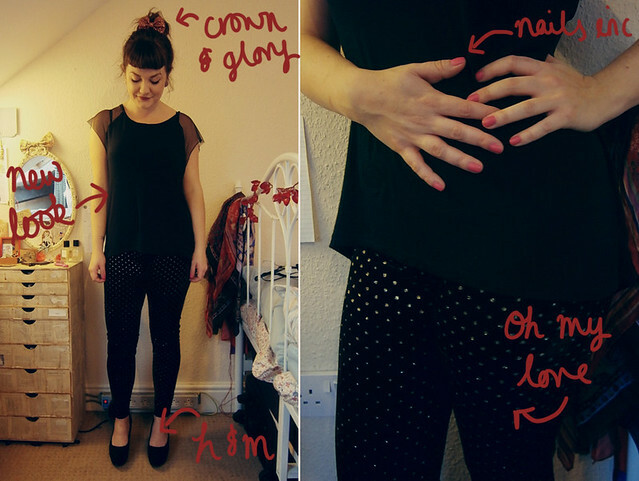 This is a MEGA CUTE outfit, I am in absolute love with these leggings... 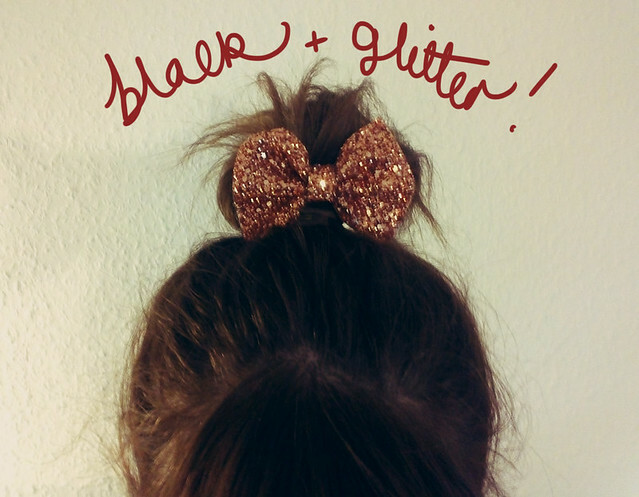 I may have to invest in a glittery bow sometime soon, I've seen them everywhere lately! You always look so lovely, I think I might have to get myself one of them crown and glory bows! I love love love this outfit! 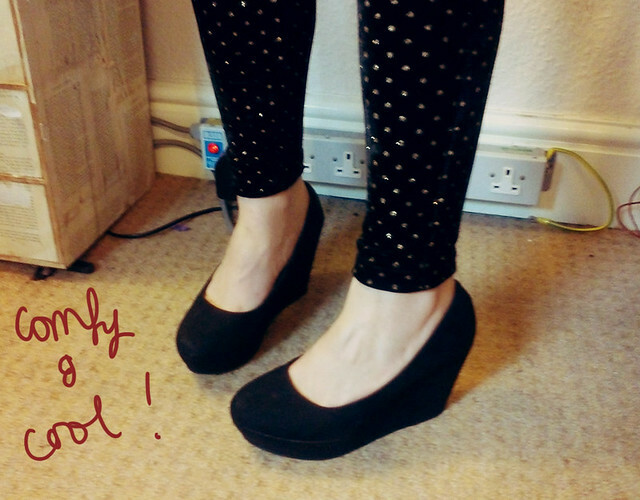 Need to track down these H&M wedges...! Wow those leggings are beautiful and remind me so much of a dress I used to have in my childhood. I'm feeling all nostalgic now. the bow is very cute! what size did you get from Crown & Glory? Gorgeous outfit! Love the leggings! Great outfit, I love the shoes. you look gorgeous! The outfit is so simple and chic! really hot! i need to get me some sparkle!